Nanotechnology for lead-acid battery, water proof IP67. B5B Monocrystalline solar panel for high power conversion up to 17%, with at least 20 years lifespan. 1. Only consume solar energy, save city power. 2. Easy installation, free of maintenance. 3. Solar street light don't need power wire pavement work, save cost for construction. 4. 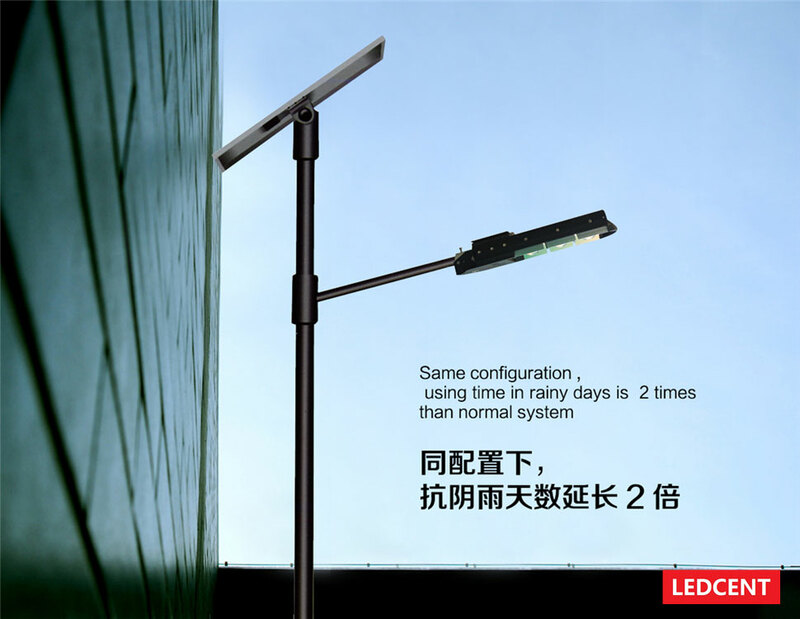 Long lifespan, our solar street light has 3 year warranty, but can work 3-5 years enven longer time. 5. Smart controller, with timer function, first few hours full power running, latter few hours 50-60 power running, last few hours 30-40% power running for more energy saving, reduce the size of solar panel and battery. 6. Our Dawn series solar street light can work under extreme environment, -25 ~ +55 ℃, like Afirca and Russia.